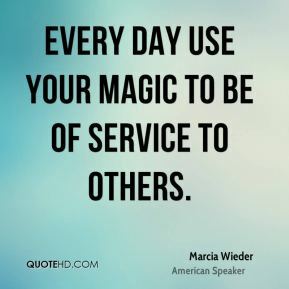 We just wanted to show the kids how much fun reading could be, that reading is indeed magic. So we decided to throw this kickoff party for the kids. 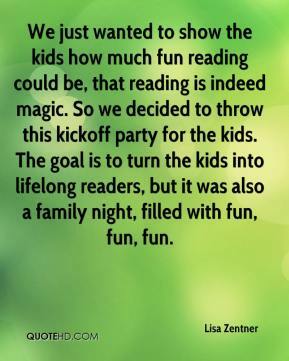 The goal is to turn the kids into lifelong readers, but it was also a family night, filled with fun, fun, fun. 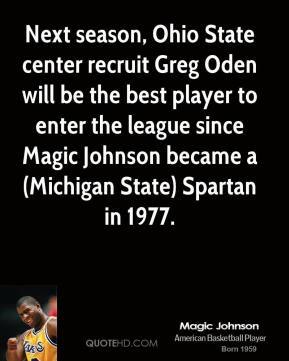 Next season, Ohio State center recruit Greg Oden will be the best player to enter the league since Magic Johnson became a (Michigan State) Spartan in 1977. 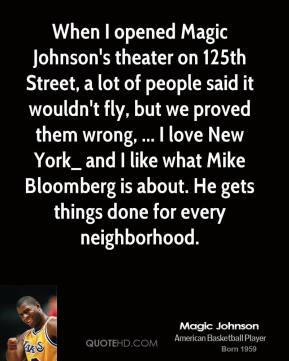 When I opened Magic Johnson's theater on 125th Street, a lot of people said it wouldn't fly, but we proved them wrong, ... I love New York_ and I like what Mike Bloomberg is about. He gets things done for every neighborhood. 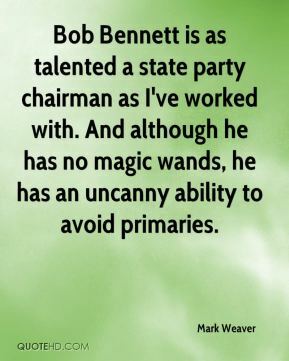 Bob Bennett is as talented a state party chairman as I've worked with. 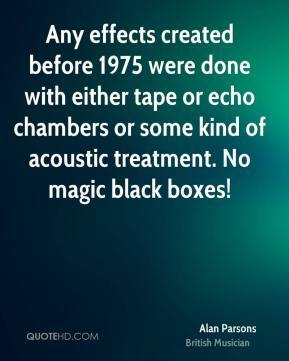 And although he has no magic wands, he has an uncanny ability to avoid primaries. I was very influenced by The Magic Mountain. 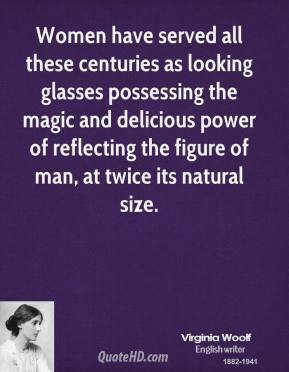 It's a book that had a huge impact on me. 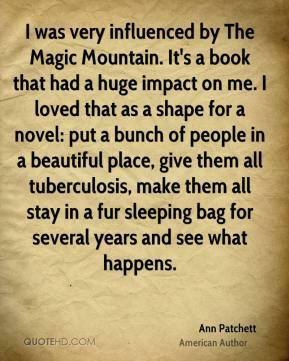 I loved that as a shape for a novel: put a bunch of people in a beautiful place, give them all tuberculosis, make them all stay in a fur sleeping bag for several years and see what happens. 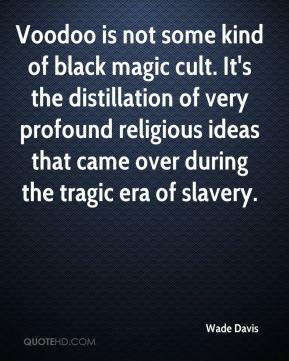 Voodoo is not some kind of black magic cult. 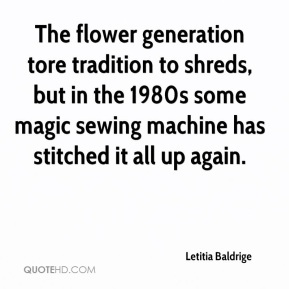 It's the distillation of very profound religious ideas that came over during the tragic era of slavery. 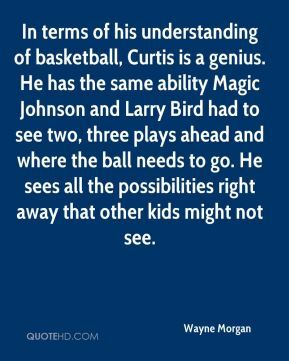 In terms of his understanding of basketball, Curtis is a genius. 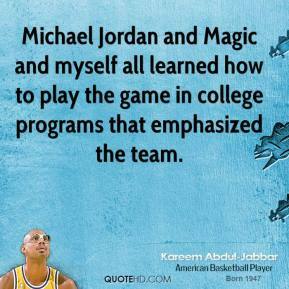 He has the same ability Magic Johnson and Larry Bird had to see two, three plays ahead and where the ball needs to go. 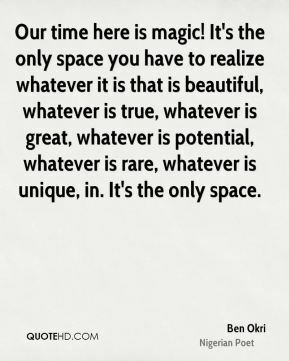 He sees all the possibilities right away that other kids might not see. 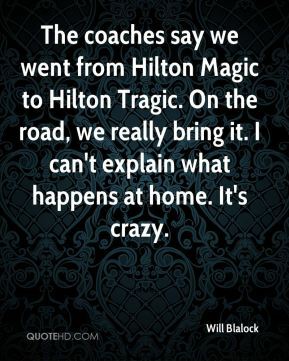 The coaches say we went from Hilton Magic to Hilton Tragic. 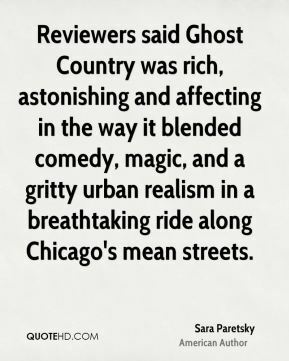 On the road, we really bring it. I can't explain what happens at home. 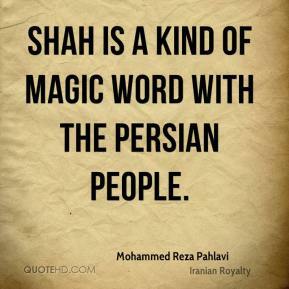 It's crazy. 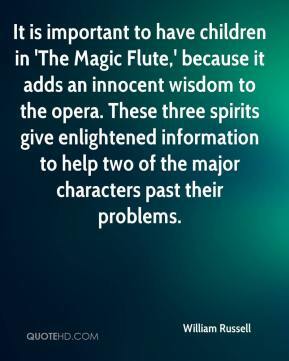 It is important to have children in 'The Magic Flute,' because it adds an innocent wisdom to the opera. These three spirits give enlightened information to help two of the major characters past their problems.